In Texas, architects have turned an abandoned big-box store into a huge library. 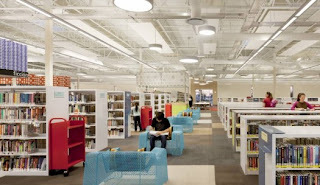 Formerly a Wal-Mart, now it houses thousands of books, and provides a much greater service to the area than a huge wasteland of steel and concrete was. See also: Big Box Reuse, which has a companion book.